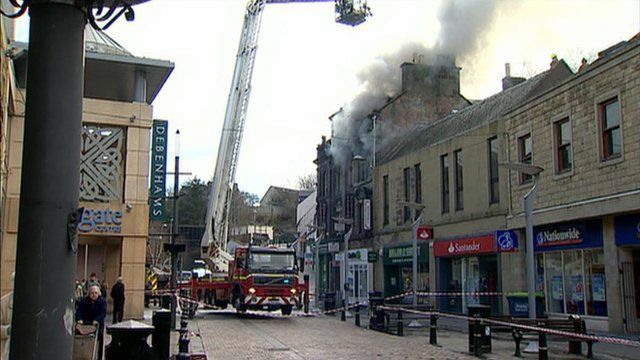 Firefighters in Inverness are damping down after a blaze at a hostel in the city centre. All the backpackers staying at the Eastgate Backpackers Hostel have been accounted for. An eyewitness described the flames coming from the building as horrendous. More than 50 young travellers had to flee the fire in the middle of the night.